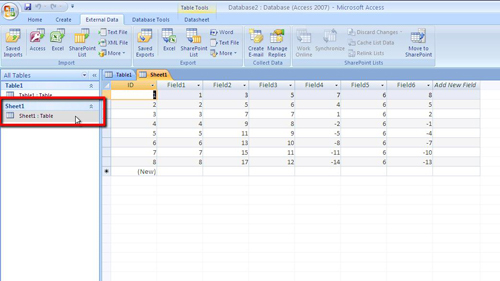 In this tutorial you are going to learn how to copy excel sheet into access, which can save you a lot time entering data. Start Access and load the database into which you want to import the data. In this example we are importing the data into a new database. 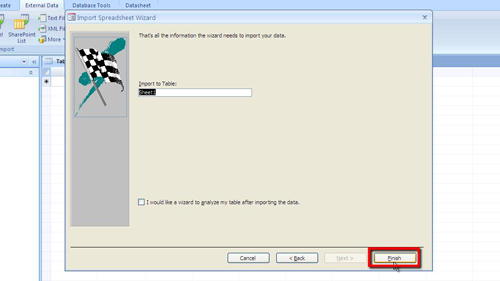 In the ribbon menu click on “External Data” and you will see there is a special icon for importing data from Excel, click on this icon. 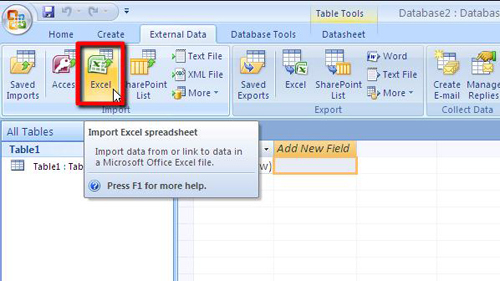 The “Get External Data” window will open and you need to click on the “Browse” button and locate the Excel file with the data you want to import and click “Open” and then click “OK”. You’ll be taken through a few screens, click “Next” four times, then “Finish”, finally click “Close”. This is essentially how to copy excel sheet into accessand to view the imported data you need to navigate to “Sheet1” in the left hand menu as this is where you will find the imported data.